It’s still jolly windy, even I didn’t fancy cycling, so I take the bus to work and get a later one. Most people still seem to be slacking off work and it only took me 20 minutes to get to work yesterday in the car. Of course today it takes 80 minutes... no idea why, just sheer weight of traffic. At least that meant I got a very brisk walk out of it as I rushed from the bus station to work, so my doctor will be pleased. A change of pub day this week. We go today and get service with a smile as there’s different bar staff on. Perhaps we should stick to Fridays. Tonight is Friday night in of course and L vows to have a break from the alcohol. Unfortunately my beer pile is almost as deep as her book pile, so I don’t feel a night off would be productive. I have a couple. 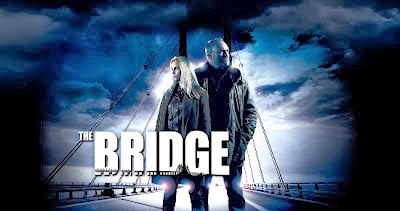 We also belatedly start ‘The Bridge’ which I’m sure everyone else has been into for ages.